The family will greet friends starting at 10 am. 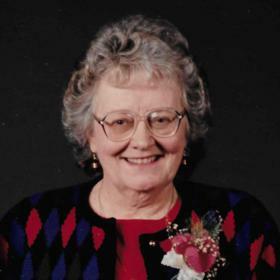 Karen Euphemia Dorvinen, age 82 of Traverse City, died September 6, 2018. Karen was born on February 3, 1936 in Calumet, Michigan to Theodore and Milga Hook. She married Francis Carlisle Dorvinen in January, 1957 and followed his career across country in the US Coast Guard from the Sault to Alaska, and everywhere in between before eventually moving to Traverse City in 1976. While raising her children, she held various office jobs until their graduation from high school and then went to work for Chef Pierre (Sara Lee) for 34 years. Karen regularly enjoyed Bethlehem Lutheran Church, particularly the Saturday night service music. She was an avid bargain hunter who visited craft shows, garage sales with her friends and enthusiastically sought collectables. She celebrated Christmas with a passion, decorating her tree every year with items found during a lifetime of travel. 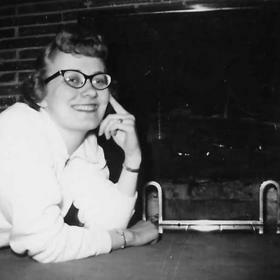 She loved her Finnish heritage and often traveled back to the Copper Country for high school reunions and any other excuses to travel back to the Keweenaw Peninsula. Karen is survived by her sons; Michael (Roberta Werkema), Dorvinen Randall (Becky Savage), Dorvinen, Dale (Cheryl Bellinger) Dorvinen; grandchildren; Zachary Dorvinen, Tate Dorvinen, all living in the Grand Traverse Area. She was preceded in death by her parents, husband and sister; Carole Hoffman. Memorial service will be held 11 am, Saturday, September 29, 2018 at the new location of Life Story Funeral Home, 400 Hammond Rd. W., Traverse City. The family will greet friends starting at 10 am. Please visit www.lifestorytc.com to sign the guestbook and share your thoughts and memories with the family.